We are in an incredible time right now in the development of multirotor aircraft within the RC hobby market. The unique capabilities of these aircraft lend themselves to being used in a wide variety of applications that were previously unheard of. As modelers, one thing that we have to remember is that with the capabilities that these amazing aircraft offer, there is a need to operate these aircraft in a responsible manner at all times. In this month’s column, we will discuss some important issues about proper operation of multirotor aircraft. Right now there are countless discussions going on in both Federal and State legislatures concerning the use of small UAV’s (Unmanned Aerial Vehicles) and UAS’s (Unmanned Aerial Systems). Many states are already trying to ban the use of small UAV’s because of misguided assumptions about exactly what these systems will be used for. There is a lot of fear out there right now from people thinking that the police departments are going to be routinely flying around spying on innocent citizens, trying to find them doing something wrong. This could not be farther from the truth. We hear people constantly using the word “Drone” to refer to these craft, and with that come the negative implications of unmanned aircraft used in wartime operations, along with all of the negative connotations that are associated with those types of aircraft. As pilots and users of this new technology, it is up to us to help educate the general public about the use of these systems, explain the correct terminology and names for them while providing a good example of safe operation whenever we use them. Recently in the news there was an excellent example of how these small UAV systems can be used to help save lives. On May 6th, 2013, in Saskatoon, Saskatchewan, Canada, a man drove off the road during a snow storm and was ejected from his vehicle. He had no coat on, and had lost his shoes in the accident. The man was able to contact the Royal Canadian Mounted Police by phone and explain his situation. With the GPS system in his phone, the police were able to narrow down his location, but when they arrived, the man could not be found. Fortunately, this unit from the RCMP had a new Dragan Flyer X4-ES Multirotor UAV with them, which was equipped with a FLIR (Forward Looking InfraRed) camera as seen in Figure 1. Figure 2. 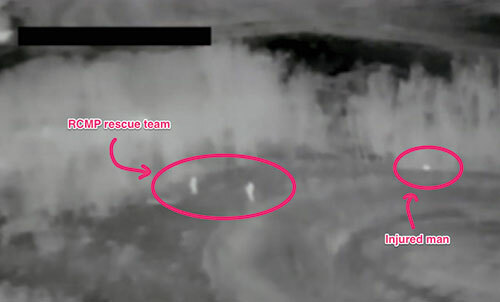 Actual footage from the FLIR camera as the Royal Canadian Mounted Police rescue team located a lost man. This is the type of activity that these small UAV systems are intended to be used for, and we need to see more coverage of events like this to help inform the general public about the positive uses of this new technology. Just as events like this help to put a positive spin on the use of UAV systems, people can just as quickly do something reckless that puts a negative spin on the UAV discussions. You can bet that the news media will cover a negative story 100 times more aggressively than any positive story, and that is why we all need to be extremely careful while we operate our multirotor systems around other people. Every time we go out amongst the general public and perform some type of service with a small UAV, whether it be aerial photography, search and rescue, agricultural inspection or something else, we should always be thinking, “What would it look like if what I am doing right now was on the front page of the local newspaper or on the Web?” You can be guaranteed that if something does go wrong, and you end up landing your multirotor on the roof of a building or crashing it into someone’s car, it will be on the front page of your local newspaper and all over the web, and this coverage will only serve to fuel the fire of controversy surrounding the use of small UAV systems. One should never operate a camera equipped multirotor in populated neighborhoods just for the sake of flying around to see what can be seen. People often mistake this as an unlawful invasion of their privacy and will report the actions to the police. This is the type of publicity that no one in the multirotor community needs to have! Right now we are in a “gray area’ regarding the rules and regulations governing the use of small UAV systems in uncontrolled civilian airspace. In many cases there are no laws saying you can operate and no laws saying you cannot operate in certain areas. 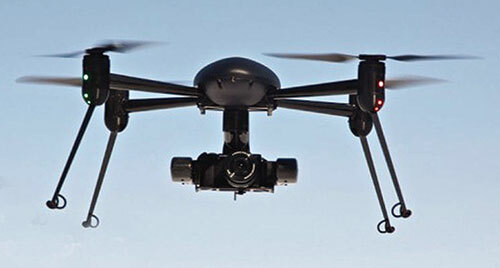 Many municipalities have taken it upon themselves to interpret what little laws there are as they see fit, and this further leads to the confusion surrounding the use of these UAV systems. Whenever you do any type of work with a small UAV, make sure that you have the permission of the property owners where you intend to work. Have a plan for what you will do, as well as an emergency contingency plan in case something does go wrong. There are a lot of people working very hard to put together guidelines for the safe operation of these aircraft, and this will pave the way to allow for their use in the future. If you are approached by anyone while operating a multirotor, always be courteous and respectful. This new technology has the potential to save a lot of lives, create thousands of new jobs, and help a lot of people perform tasks more easily, safer and less costly that currently employed methods. If we all work together to be good stewards of this rapidly evolving technology, we will all benefit from the great things that can be done with it. Figure 3. 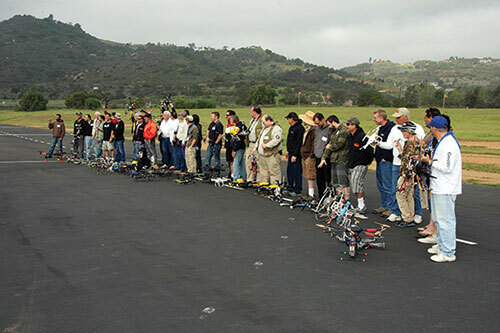 Many pilots with their multirotor machines at the first annual Multirotor Challenge. Everyone at the event had a great time, and Sunday afternoon, the festivities ended with trophy presentations, and over $10,000 worth of prizes being given away in the pilot’s raffle. There was huge support of this event from dozens of vendors and sponsors, and their generosity went a long way to make this an extremely successful event. We will certainly be having the Multirotor Challenge again next year, and expect to have well over 100 pilots attending. For all the information about the events and winners of the competitions, be sure to read the full coverage of the Multirotor Challenge in a feature article in this issue of RC Heli Pilot. For more photos, videos and other information from the 2013 Multirotor Challenge, be sure to check out the event website at www.multirotorchallenge.com . One of the most natural uses for multirotor aircraft is aerial photography, and there are some new trends happening now that are making this type of flying easier than ever before. One of these trends is the rapid development of direct drive, brushless motor camera gimbals. Instead of using servos and linkages, or belts and pulleys, to control the movement of the camera, special high-torque, very low Kv brushless motors are used to directly drive the tilt and roll axis of camera platforms. This new technology is all the rage on the multirotor forums, and new systems are popping up every week. Brushless direct drive gimbals have been around for a while, but the commercially available units designed for larger DSLR camera cost upwards of $3,000, putting them out of the reach of most modelers. With the new open source communities that have taken off over the past few months, several commercially built gimbals are now available for smaller cameras such at the GoPro series and other small point and shoot cameras at prices below $200! 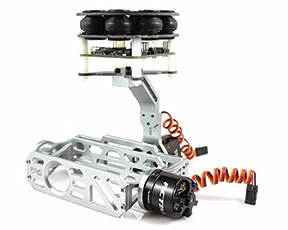 Figure 4 shows a typical two-axis brushless gimbal that is now available for the GoPro series cameras that includes the frame, motors, motor control board and IMU for under $200. A quick search through the Multirotor section on any of a number of online forums will uncover dozens of active threads with brushless gimbal projects. Figure 4. This is a typical two-axis brushless gimbal that is available for GoPro and other small cameras. The benefit of these new gimbals is the speed of the response to changes in motion and the smoothness of operation that virtually eliminates the jerkiness that was common with earlier servo driven gimbals. The video that is being captured with some of these new gimbals is truly stunning and rivals some of the professional systems used in Hollywood. I am certain that many independent filmmakers will begin taking advantage of this new technology very soon. Keep an eye out in the movie theaters for aerial shots in films. More and more of them are being shot from multirotors instead of full size helicopters, and this trend will continue as the technology advances and the new products become more readily available. Believe it or not, this installment marks the one year anniversary of the start of the Multirotor Flight column! That first year went by pretty fast, and a lot of new developments have taken place during this time. If any of the readers have suggestions for topics to be covered, or systems that you want to learn more about, please send an email to the author at lmiller@innov8tivedesigns.com . ABOUT THE AUTHOR Lucien Miller has been an active RC modeler since 1975, and holds two degrees in Electrical Engineering. He became an AMA contest director in 1992 and is currently a member of the Palomar Flyers RC Club in San Marcos, California. Lucien has been involved in many aspects of the hobby including Pylon Racing, RC Combat, Scale Modeling, Sport Flying and most recently Multi-Rotors. He has also been a host of the RC hobby’s longest running Podcast talk show, All Things That Fly, since 2008.